Ecoutez Aline vous présenter son quotidien zéro déchet. Un défi accessible à tous, notamment aux urbains! Les alternatives à la vie urbaine ultra-consommatrice, ça existe aussi! Listen to Aline presenting her zero waste daily life. A challenge which everyone can make, notably urban dwellers! Alternatives to the high-consumption urban way of life also exist! 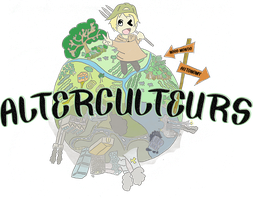 For the French Speakers there is a very nice non profit organisation which is challenging people to start their change towards Zero Waste. Surely, if you are interested, there are lots of FB groups and organisations that you can join to accompany and support you to change your life for a better (less cluttered) world!